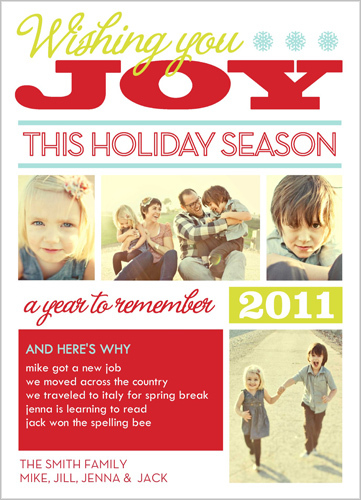 Enter To Win 25 Free Shutterfly Holiday Cards! 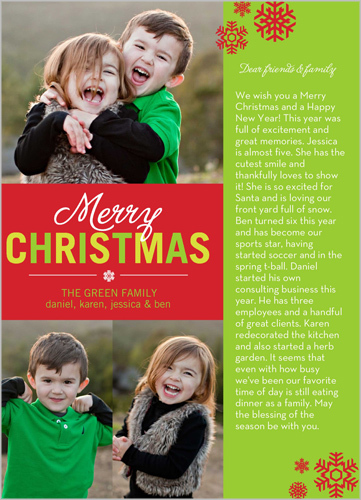 You are here: Home / Reviews/Giveaways / Enter To Win 25 Free Shutterfly Holiday Cards! 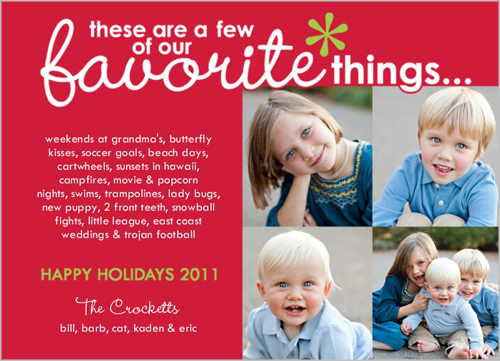 Shutterfly contacted me this year and asked me to host a giveaway where three of you get codes for 25 free holiday cards. Also, if you’re a blogger, you get an extra chance to win 25 free cards–if you don’t mind, will you put that you heard about the promotion from my site cause that would be swell. Since I worked with Shutterfly last year and had a good experience and really loved the cards I ended up picking, I said yes to the giveaway–and the cards I’m getting–and figure you guys wouldn’t mind some free stuff. A lot has happened this past year from Tucker getting into the Army logistics intern program to me winning that trip to E3 and writing for Kmart Gamer’s site to Cara learning how to read and us buying our first house. With all of that, I don’t want just some regular Christmas cards with maybe a group picture or something. I mean, we don’t do like a Christmas letter or anything but I almost feel like I should write it all down so we can send it to folks…I know you’re not supposed to brag but I kind of want to. OK. Now I’m a bit annoyed. I looked through the cards last night and picked that first one. Then I started writing this and found those other ones and I can’t decide which means I’m going to have to ask Tucker and he’s going to pick the one he thinks I like the least which means I’m going to be forced to decide. Maybe I’ll let the kids decide? This giveaway runs from right now until Oct. 28th at 1700 CST at which point I’ll close comments here and draw three winners via Random.org. I’ll email the winners and they will have five regular days–not business days–to respond to my email so I can send them their code for 25 free cards. If I don’t get a response then I’ll draw again. Feel free to share this on whatever site you share stuff, e.g., Twitter, Facebook and Google Plus. But that’ll just be because you’re a nice person and want to other people to have a shot at some free, pretty cards. AND, if you’re a blogger and want another chance at 25 free cards, you can register here: http://goo.gl/DDw7Q. The contest has ended and comments are closed. Thanks to everyone who took the time enter. Stay tuned for more awesome giveaways! I love shutterfly’s cards. It makes it so much easier. I actually sent cards last year, for an example. I would pick the first one – Wishing you Joy this holiday season! I love it! I like the Bright holly jolly card. I’d love to be entered. Thank you so much! Omg, how will you choose?? They are all great!!!! i like merry and bright christmas cards! i like the first one ! Fingers crossed , hope i win ! any will do for me i like all their cards! I like the last one because you can include a nice note with it!